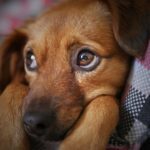 Are Struggling to Train Your Dog? You dream of having a beautifully trained dog, who is a pleasure to have around. You’ve seen other people with these dogs, and you’re pretty sure you could achieve that with a bit of training, so you get started. Maybe you go it alone or join a training class, but things just don’t seem to fall into place? He doesn’t seem to hear you half the time? He never seems to ‘want’ to do the things YOU want him to? He does it at training class but not at home or out on walks? It all seems to be going well, but then just when you think you’ve nailed it, he seems to forget everything he’s learned? So What is Going Wrong? Let’s take a look. 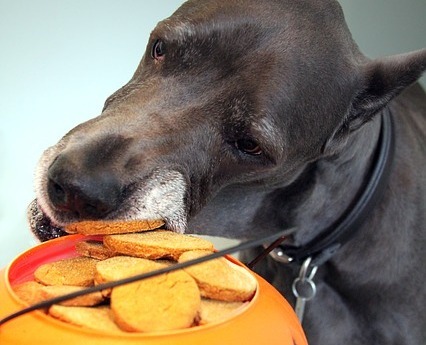 Maybe you’re just starting out to train your dog, or maybe you’re trying to undo some bad habits he has developed. Either way, there are two crucial elements of the training process, that many owners either forget to do or don’t know about, but they must be included if you really want to succeed. Without these two elements, it will be much harder to end up with a successful outcome to your training, no matter what it is you’re attempting to teach. Without these two elements, it will be very easy for your dog to learn the opposite of what you’re trying to teach him. Without these two elements, your training sessions could be frustrating at best, and unsuccessful at worst. Let’s go through them one at a time and look at why they’re so important and how to include them, so you can train your dog to behave more in the way you’d like him to around the home and when you’re out and about. 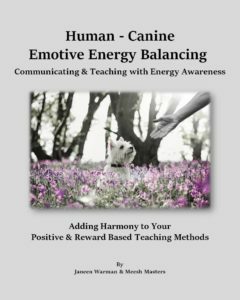 The first essential element, is to make sure you consider how you’re going to manage your dog’s current behaviour whilst you’re training alternative ones. Let’s first consider why this is so important. The way a dog learns is by association, pairing one thing with another. So when something he does is great fun or gets him a ‘reward’, it will leave an imprint on his brain. This means he will recognise when similar situations could result in the same pleasurable outcome, which will make him want to do them again. What’s more, the higher number of imprints made on the brain, the stronger that behaviour will become. This is actually great news for you as the teacher, because it gives you the opportunity to manipulate situations to your benefit, BUT it also means that if you don’t manage your dog’s behaviour whilst you’re training him to respond the way you want him to, he could gain access to rewards or pleasurable experiences, doing things you don’t want him to, thereby strengthening those behaviours instead. Let’s use recall training as an example to explain it more clearly. Your dog is not yet trained to return to you on request using a cue word. 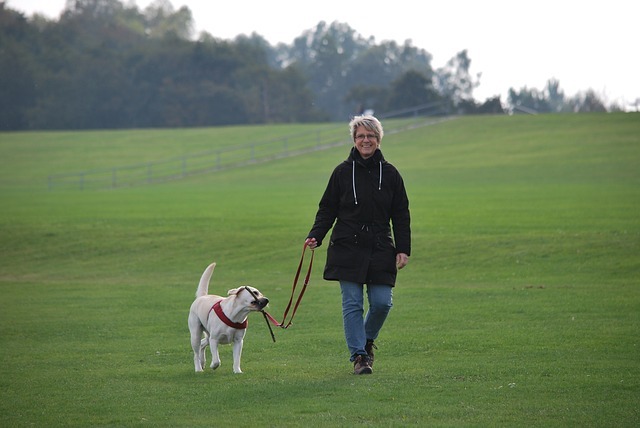 So when you’re out walking, if your dog is off lead and runs over to another dog (or person, or chases a squirrel or cat etc) and has a nice playtime and lots of fun, this will strengthen the behaviour of ‘running off ‘. The important thing to remember here, is when something is really pleasurable for a dog, they learn it instantly. That imprint I mentioned before, is very powerful (But remember, this also works in your favour, if you make training lots of fun). 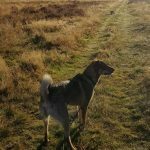 So if you’re dog has run off and played with other dogs (or any other pleasurable experience) once or twice (or lots of times), not only have you got to train your dog to learn a recall behaviour, but you now also have to undo the imprints that have already been made from the fun experience of running off. 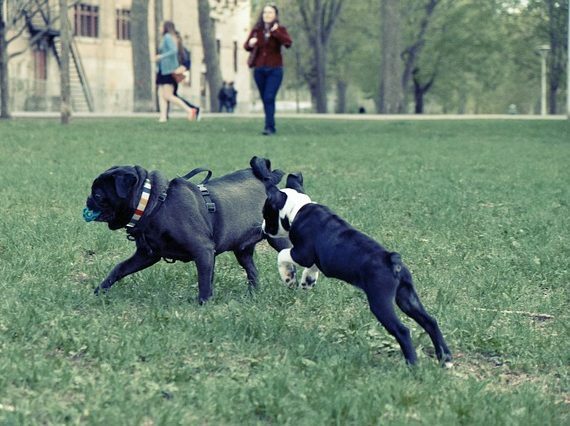 You can do this through the repetition of fun, enjoyable training exercise that will begin to convince your dog that coming back to you is more rewarding than running off, but only if you prevent him being able to run off any more. In contrast, if you’re able to prevent your dog from ever running off and having his own fun in the first place, those very powerful imprints would never get left on his brain. This means it should be easier for you to teach him that staying with you is more fun, therefore creating a faster learning time frame, with a greater chance of success and a stronger, more reliable end behaviour. So in this scenario, managing your dog’s behaviour would involve having him on a long training line, so you can teach him a reliable recall response, BUT at the same time prevent him from running off . 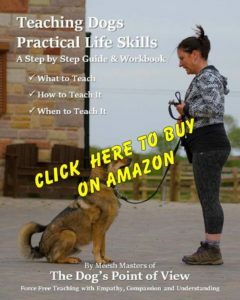 Whatever it is you want to teach your dog, make sure you consider if there is any need to manage his behaviour whilst you train & imprint the behaviours you want him to have. Greeting Visitors: Keep your dog on a waist lead at home when visitors come if he cannot settle down or is maybe anxious about visitors. That way he cannot practise any unwanted behaviours and is close to you for instant rewarding of all good behaviours. 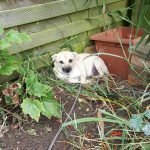 Space Restriction: Restricting how much freedom your dog has around the house can help to have an impact on all sorts of training situations. For example, separation anxiety, stealing objects, hyperactivity, barking and resource guarding to name a few. The second essential element in the process of training any behaviour, is managing your dog’s environment. As previously mentioned, dogs learn by association, so if there are things in his environment that are going to work against you during his training, make sure you eliminate or at least minimise their effect on him. Let’s use an example of teaching a dog not to jump up at people to explain it more clearly. 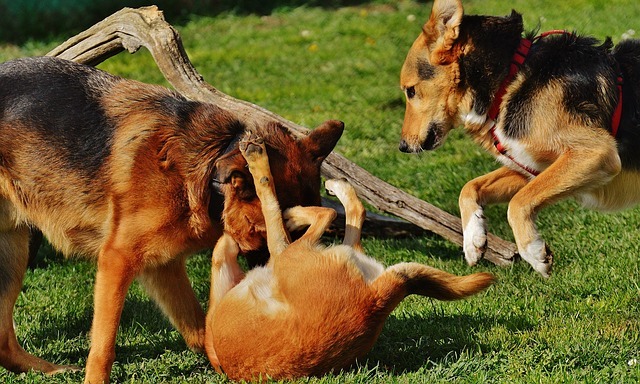 Your dog has gotten into the bad habit of launching himself at everyone he meets. Whilst this is probably not so bad if he’s a Chihuahua when he’s a 60lb German Shepherd it becomes more of a problem (Although those Chihuahua’s have tiny little sharp claws!) Anyway, you would like him to greet people with better manners, the problem here is, most of the people he meets are rewarding him for jumping up by making a fuss of him, and he loves that! He’s so busy enjoying himself, he’s not listening to you requesting that he get down, or sit. Once again the reward he is getting will be strengthening this behaviour every time he does it, making it extremely difficult for you to teach him to do the opposite. So in this scenario, by managing his environment, in other words the people he meets, you’re able to eliminate the rewards he’s receiving, whilst you teach him that an alternative behaviour (ie sitting) will get him those rewards instead. It would be essential for him to only meet people who are willing to do as you ask them, and completely ignore him if he jumps up, but reward him with fuss and tickles when he sits. This will start to strengthen the sitting behaviour instead of the jumping up behaviour, eventually leading to that becoming your dog’s behaviour by choice. 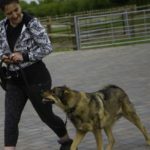 So once again, whatever you’re looking at teaching your dog, whether it’s teaching him a completely new behaviour, or trying to alter a bad habit he already has, you must consider how he could get rewarded by the environment around him and make sure that is managed whilst you’re teaching him. If you don’t do this, your training progress could be frustratingly slow, and most likely nowhere near as successful as you’d like it to be. Counter Surfing: Never have anything available on the work surfaces for your dog to get. Barking out the window: Either prevent your dog from getting to the window or block his view until you can set up controlled training sessions to work on this behaviour. 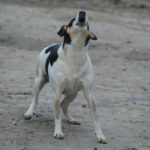 One of the biggest problems with barking out the window is the unpredictability of when it happens, so a controlled environment to alter this behaviour can help immensely. I have a Romanian rescue. Mixed breed, so much like a Carpathian shepard. I got him at new year and have under went a major op. Now just beginning training. He is 2 yrs on Monday and his basic training is good. He unfortunately being very big when he is reactive to seeing other dogs or cats is practically uncontrolable, though it is more to get to them to play. Most people seeing this lion like dog bouncing around in circles, run the opposite way, his recall is nil and while walking is far too busy looking out for other cats and dogs to take a treat when he is good. Any help would be appreciated.